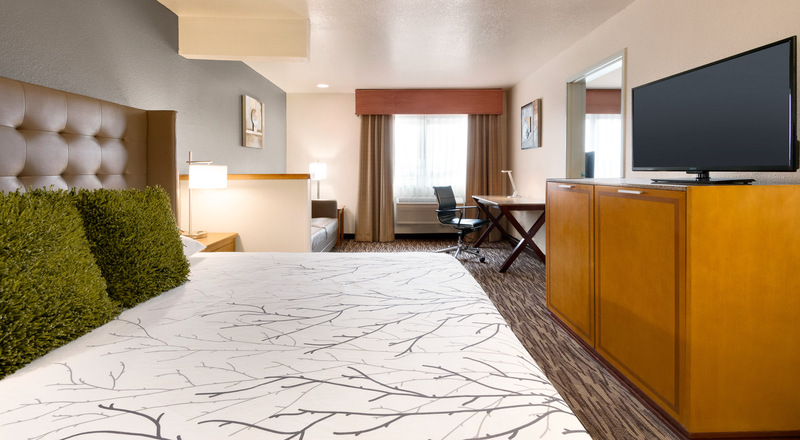 Accented by warm woods and rich textures against a backdrop of earth-tone neutrals, our 100 comfortable guest rooms are furnished with all the essentials modern travelers expect, including wall-mounted bedside reading lights, full dressers, refrigerators, and spacious work desks. 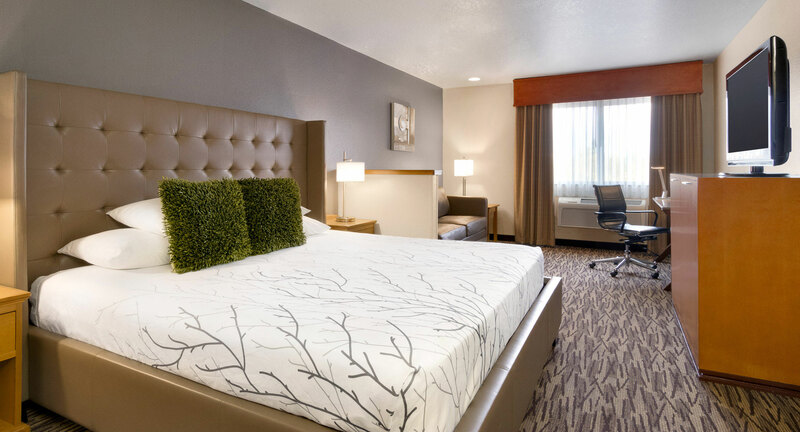 Perfect for extended stays, our Oversized King guest room is furnished with one king bed, sitting area with sleeper sofa, kitchenette with microwave and refrigerator, wall-mounted flat-screen television, and spacious work desk. 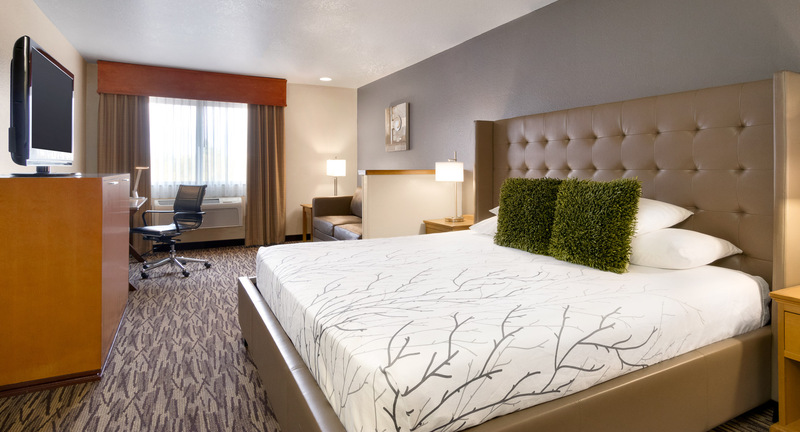 Ideal for business or leisure travelers, our attractively furnished King guest room has one king bed with stylish tufted headboard, a sitting area with sleeper sofa, microwave and refrigerator, and spacious work desk. 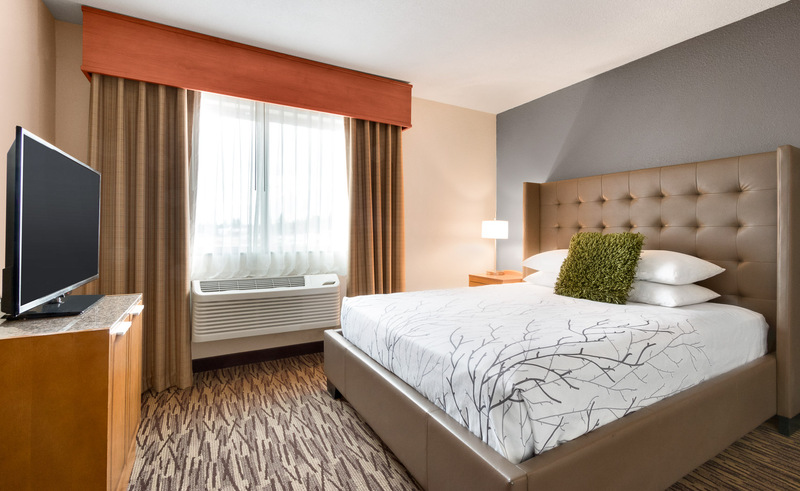 Highlights of our spacious, stylishly furnished Two Queen guest room include two queen beds with tufted headboards, a flat-screen television, microwave and refrigerator, and work desk. 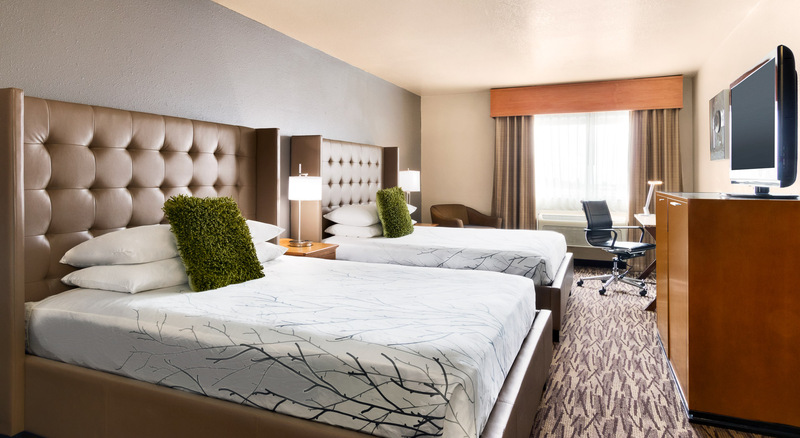 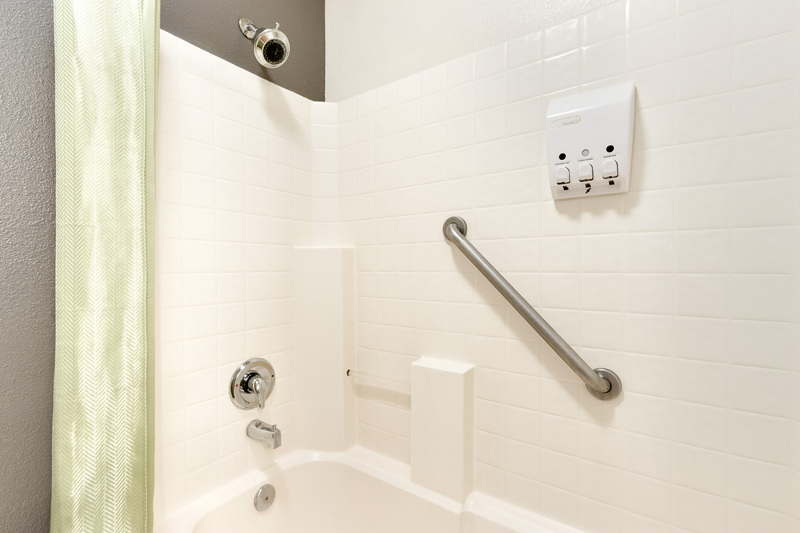 Accommodating up to four guests, our Family Suite is perfectly suited for family get-togethers. 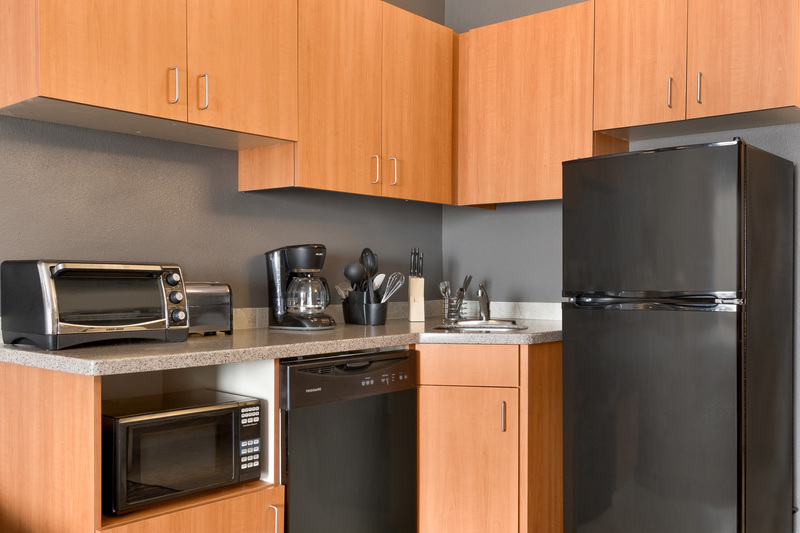 Highlights include one king and one queen bed, a flat-screen television, microwave and refrigerator, and work desk.